Ds. 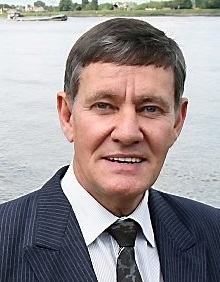 Etienne Maritz was the minister of three congregations of the Dutch Reformed Church, two in Namibia and one in Pretoria, South Africa. During his years in these three congregations, the Lord blessed them with revival. After this he was invited to preach on evangelisation, prayer and revival across South Africa. It eventually became a fulltime ministry after he experienced the Lord’s calling to teach congregations about prayer and revival. Since the start of 2002 he has been the rector of the Back to the Bible Theological College near Barberton, South Africa. Ettiene went home to be with the Lord in December 2016.